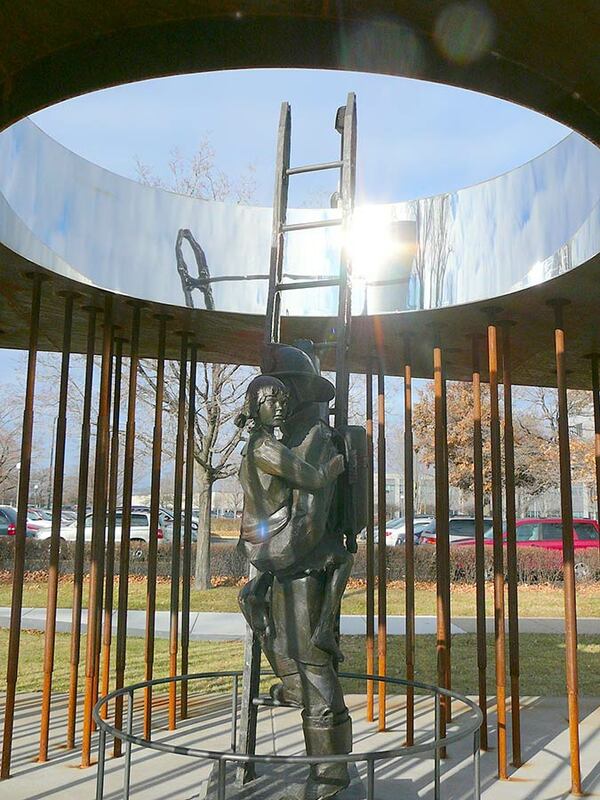 This sculpture is located in front of the Minnesota State Capitol and is constructed out of steel. It was designed by an architect/artist. My client was a subcontractor on this project hired to fabricate all the steel. Our company calculated all the information to cut the various steel components so that it all fit together in the welding process. It was a complex 3D problem that was solved using our CAD software. Communication with the contractor was an important part of this solution. 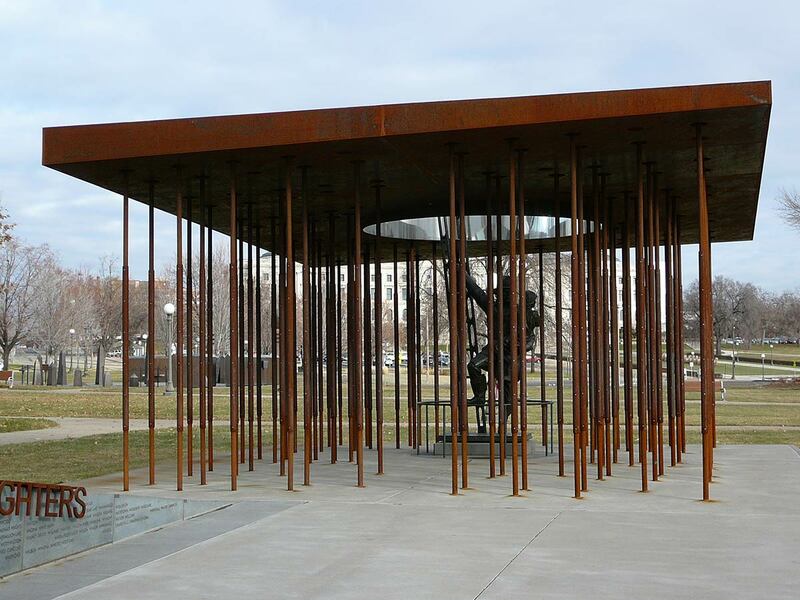 This project won the American Institute of Steel Construction award for Innovative Design in Engineering and Architecture with Structural Steel. See more information and pictures at the AISC website, and also in their awards publiation for 2015. 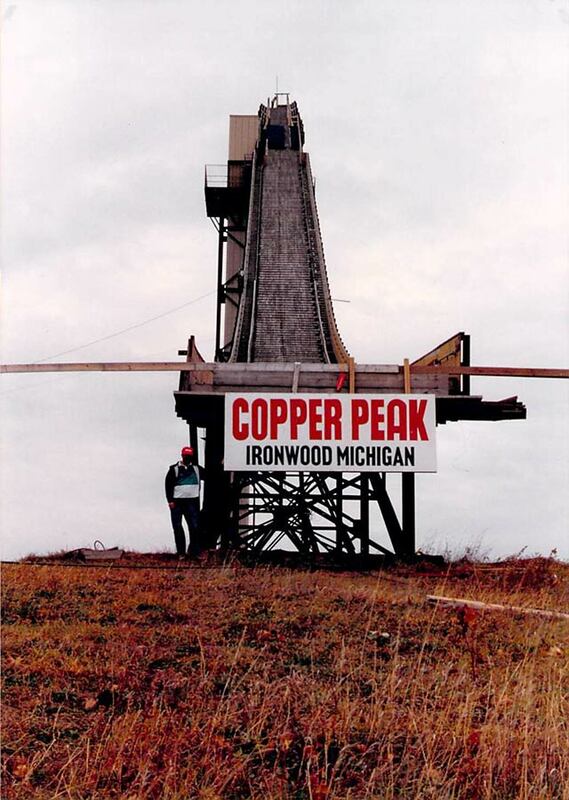 We worked with an internationally recognized ski jump designer. We mapped the topography of existing jumping hills and potential jumping hills. We also mapped the inrun for existing jumping hills. After review of our preliminary work, the designer would specify the types of knoll curve, landing slope and outrun curve that he would like to see. We would then curve fit and design a profile for the hill that fit the actual topography. 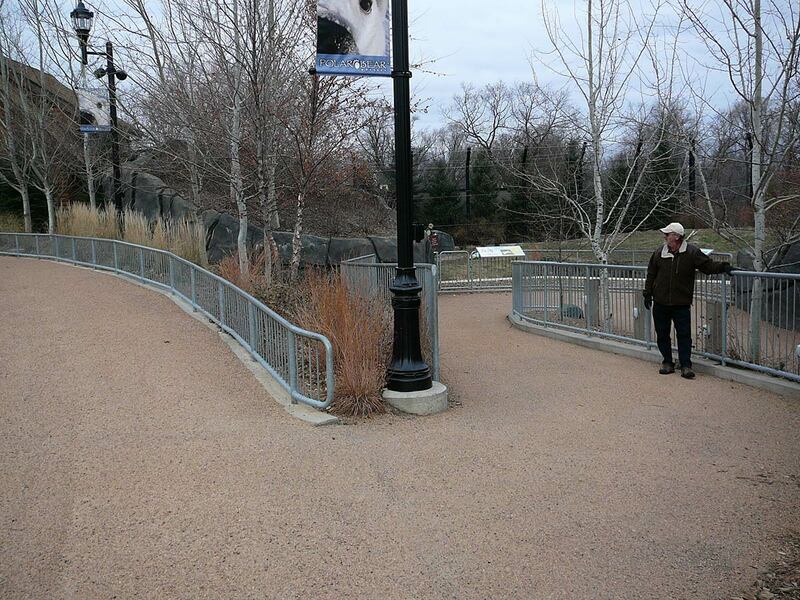 We worked with a subcontractor to build the steel railings for the Como Park Polar Bear Exhibit in St. Paul, MN. The framework for the railings was constructed out of 2″ steel pipe and needed to fit concrete knee walls that had already been constructed. We performed an as-built survey of the knee walls and calculated horizontal curves combined with a vertical profile. This allowed the contractor to construct the railings at his shop in Burnett County, WI. After construction, he transported the railings to the job site and installed them on the knee walls. Our plan worked beautifully. This is a current project in process. The wood railings on all the balconies and stairwells at the Minneapolis Convention Center will be replaced with glass railings. Our client is the subcontractor that will be constructing the frames and ordering the glass for the entire project. Our company has been involved with the curved portion of the project. We have mapped the existing walls and curve fit these walls to determine curve specifications that fit the various segments of the walls. We are currently working in a design capacity to determine average radiuses that will fit the top of the wall within specified design tolerances. More than 30 years after initial construction, two condominium townhouse buildings were collapsing on the shores of Lake Superior. This was a non-uniform collapse with cracked walls and doors and windows not working. Our client was a contractor hired to evaluate the problem and correct it. Our company provided high precision vertical control around the site and measurements made into the foundation of the buildings. In addition, it was important to know the elevation of the foundation in relation to the high and low water elevations of Lake Superior. We accomplished the objectives for this project by establishing 5 Benchmarks at convenient locations around the buildings and taking measurements to 25 specified points on the foundations of the two buildings. We selected a national elevation datum that was related to the official datum used for the Great Lakes. The cause of the problem was determined and our high precision benchmarks were used by the contractor throughout the project. He was successful in making the necessary repairs to level the buildings and save them from collapse. We were contracted by a soil engineer that needed a precise topographic map of a large severe slope. The slope was failing and the house at the top of the slope was seeing effects of settling. We performed dense high precision topographic mapping of the slope in accordance with the specifications of the engineer. Furthermore, we established benchmarks at the site and measured to points on the house to evaluate the problem. In addition to a 6 inch contour map, we created profiles of the slope at various points. From examining the resulting mapping, it was extremely interesting that one could see the slope bulging out in certain portions of the hill. Presumably this was pointing to areas that were failing or about to fail. Preventative measures were conducted to stabilize the slope to prevent additional damage to the house.